Tiananmen Square (Tian'an Men Square) is the massive city square in Beijing China. Considered to be the heart of China's capital city, it is an important venue for military parades and other national events. 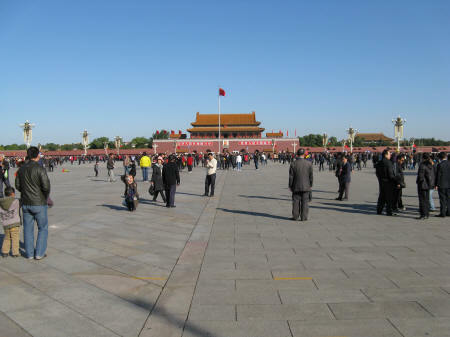 Tiananmen Square is the number one tourist destination for foreigners who are visiting Beijing.